If you are within a 2000 mile radius of San Francisco, or you've got some cash burning a hole in your pocket, then this is an unmissable event. 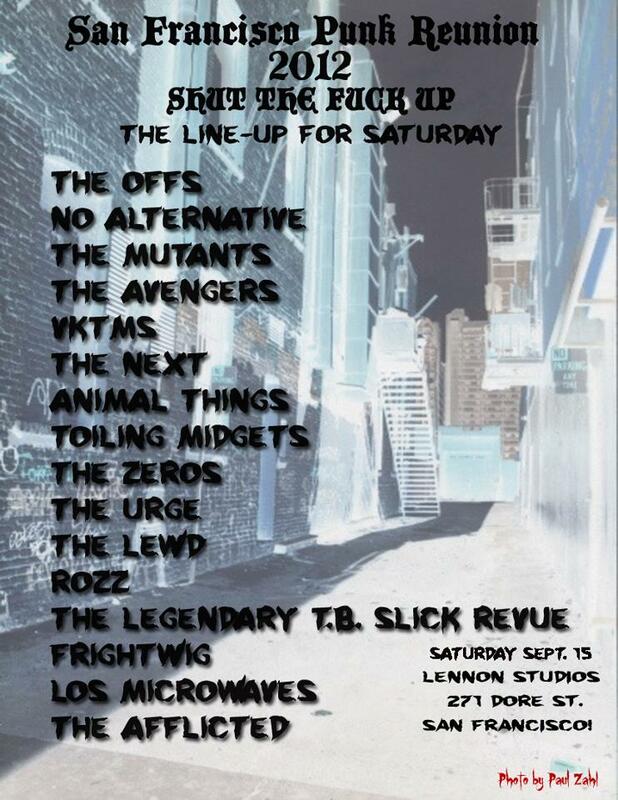 Legendary SF bands like Frightwig, The Offs, The Avengers, The Mutants, Toiling Midgets..... this is a mind-blowing line-up of punk legends. Our minds are blown. Officially.